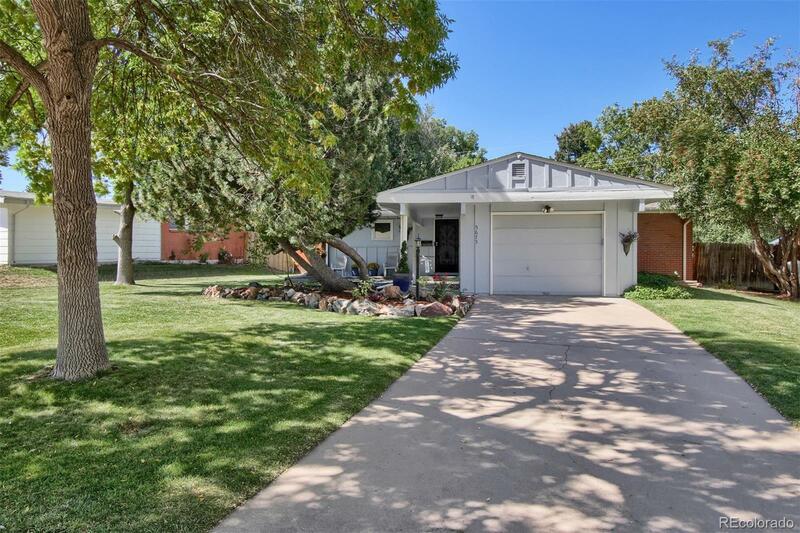 Sitting quietly in the peaceful neighborhood of Columbine Hills, this five bedroom, two bathroom home has a location that just can't be beat! Only minutes from Chatfield State Park and a short drive to downtown Littleton, this home enjoys the best that Colorado has to offer. The meticulously maintained landscape and exterior of the home gives it spectacular curb appeal. The interior of the home has an open floor plan and great bones to work with. Given a little TLC and some updating, this home could be quite spectacular! The main floor features vaulted ceilings in the kitchen and living room giving it a nice and open feel, three spacious bedrooms and a full bathroom. The finished basement includes a large recreation room, 3/4 bathroom, two additional bedrooms and a large laundry/storage room. Come see see it before it's gone!